HVAC contractors must be licensed by the state of Arizona in residential, commercial or residential/commercial practices. Each classification requires a passing score on a two-part exam . 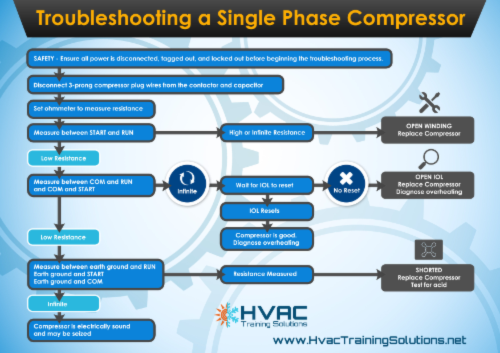 Residential HVAC contractors must pass the C-39 exam, commercial contractors the K-39 exam, and combination residential/commercial contractors must take the L-39 exam. For all exams, you must knowledge of business management. The second portion of the “-39” series exam differs depending on focus area, as examinees must prove their knowledge of residential-, commercial- or residential/commercial-related practices. In all cases, the test-taker must have at least 4 years of previous relevant experience and pay a state-required bond based on what they expect to earn in annual revenue. License fees are the primary point of difference, as residential, commercial and residential/commercial HVAC exams and corresponding licenses vary in price. Detailed licensing application instructions can be found HERE. 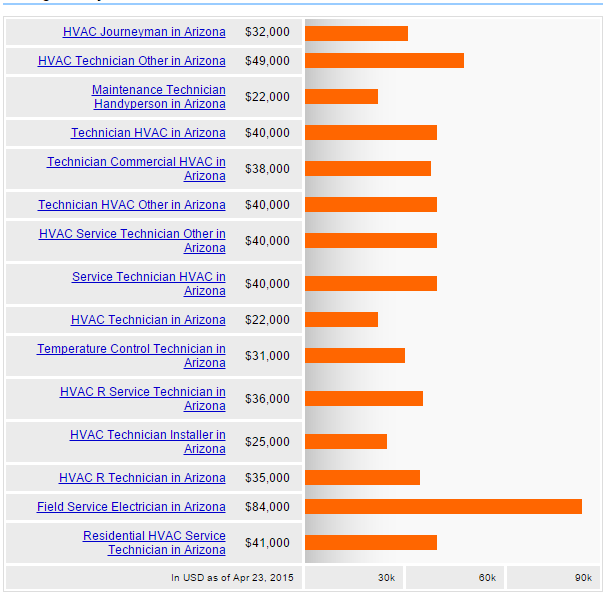 Other HVAC Job Salaries in Arizona.